Jerusalem, Israel – The Latrun Tank Museum on the outskirts of Jerusalem rocked with live musical performances, American barbeque and greetings from distinguished guests recently at the Orthodox Union’s (OU) Yom NCSY, a record event with over 2,500 summer program participants. Participants hailed from 32 states, Canada, United Kingdom and Israel and represented the full Jewish religious spectrum. The evening featured a special opportunity for participants to meet newly installed Jewish Agency Chairman Isaac Herzog and entertainment from New York-based DJZJ, singers Eitan and Shlomo Katz and performances from Israeli singers. 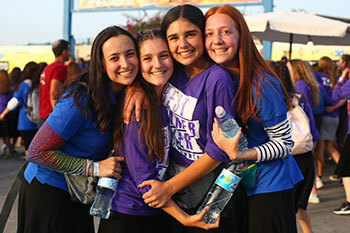 In addition to the festivities, the event highlighted the 20th anniversary of The Anne Samson Jerusalem Journey (TJJ), NCSY’s premier touring program for public school students. Now in its 20th year, the program has also recently created two additional programs for participants hoping to spend an additional summer within the umbrella of TJJ. The TJJ Ambassadors and TJJ Ambassadors Poland programs are geared towards leadership development within the program’s national alumni community. To mark this landmark year, NCSY is establishing the TJJ Founders Scholarship in honor of Rabbi Barry Goldfischer, the beloved TJJ educator known for his warm and engaging personality. Rabbi Goldfischer is the current director of TJJ and has been involved with the program since its inception. NCSY’s summer programs in attendance at the event included: BILT, GIVE, Euro ICE, Israel ID, JOLT, JOLT Israel, Kollel, Michlelet, Next Step, 4G Euro, Rescue Israel, TJJ Ambassadors, TJJ, TJJ Ambassadors Poland. Additionally, U.S. based programs GIVE WEST and NCSY Sports were able to take part through NCSY’s livestream. Over 200 participants of Yad B’Yad, the summer Israel-travel trip ran by the OU’s Yachad division, also took part in the event. NCSY, the international youth movement of the Orthodox Union (OU), is dedicated to connecting, inspiring and empowering Jewish teens and encouraging passionate Judaism through Torah and tradition. 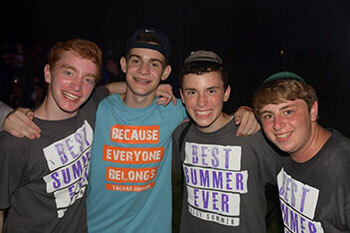 NCSY provides innovative, informal Jewish education, leadership training, retreats and summer programs that foster positive Jewish identity and connection to Israel, preparing the next generation of committed Jewish communal leaders. For more information, visit ncsy.org/. Founded in 1898, the Orthodox Union, (OU), serves as the voice of American Orthodox Jewry, with over 400 congregations in its synagogue network. As the umbrella organization for American Orthodox Jewry, the OU is at the forefront of advocacy work on both state and federal levels, outreach to Jewish teens and young professionals through NCSY and Birthright Israel/Israel Free Spirit trip organizer, and Yachad, the National Council for Jewish Disabilities, among many other divisions and programs. For more information, visit ou.org/.